Shipping containers services. Shipping containers for sale, shipping container repairs. Do you need a tank wash provider that understands how important it is to turn around your road tankers quickly with minimum fuss? Getting your road tankers clean has never been easier. 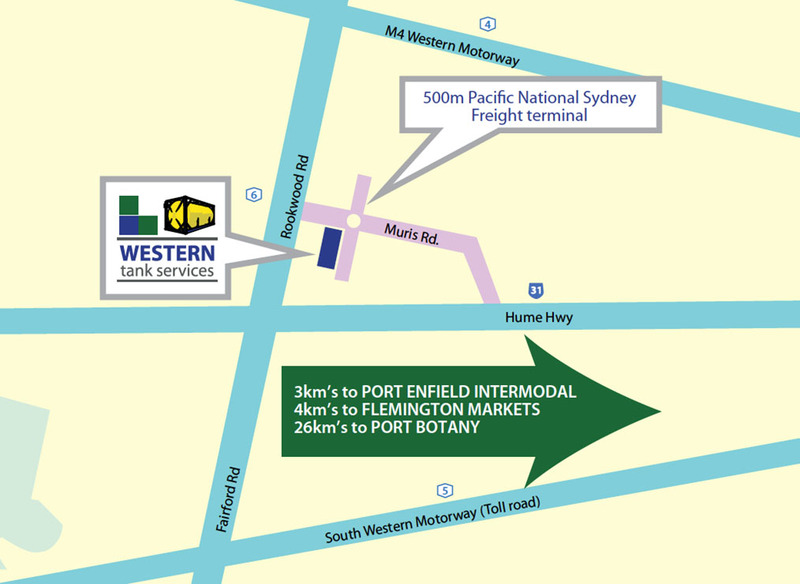 The team at Western Tank Services are known for their speed, quality and professionalism – which is why you should use our conveniently located facilities at Chullora. We keep the process simple by decanting excess residue into drums or IBC’s for disposal or return to your clients, so you can be ready for a new load with only one stop. Both liquid and dry vehicles can be serviced in our wash bays, which are designed for both single and B-Double road tankers. Whether you need food grade, chemical or powder tankers cleaned, Western Tank Services can help. You can be confident with all aspects of our service. We can use food grade hoses and pumps so that product transfers can be made without compromising your cargo. Our trained and qualified personnel are able to enter many types of tanker for confined space cleaning. We can even pressure clean the outside of the prime mover and trailer to keep your fleet looking its best as you deliver to your clients.